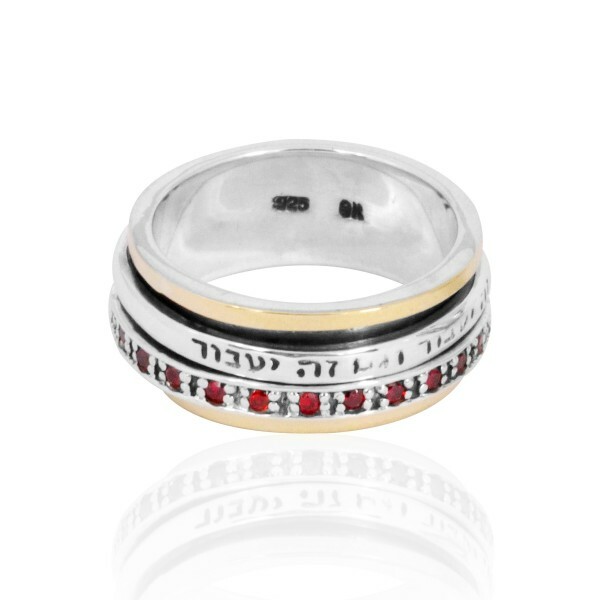 A stunning Jewish ring, this Sterling Silver and 9K Gold spinner ring occupies the fingers and reminds you in the words of the bible that this too shall pass. 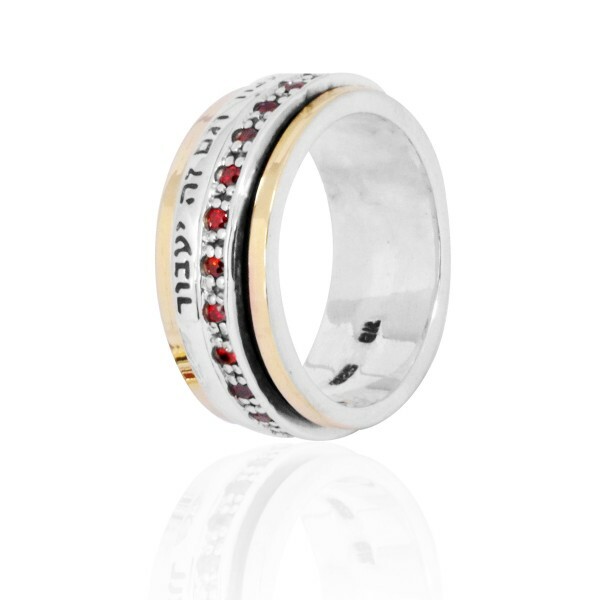 Made of Sterling Silver and 9K Gold, this lovely spinner ring quotes the Bible, with "This Too Shall Pass" engraved onto the sterling silver of the spinning part of the ring. Decorated with lovely gems, this ring is inspiring and meaningful to wear, as well as a stylish choice of Jewish jewelry.